Quiet power portable inverter generators. Light, quiet, and safe for sensitive electronics. 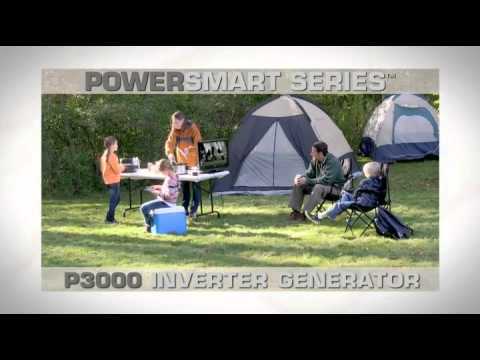 The PowerSmart Series™ are perfect for camping, RV travels and other backup power needs. Quieter than traditional camping generators. Built-in handles make it easily movable. Added wheels on the P3000 make towing from A to B a breeze. A dedicated parallel outlet lets you connect to another PowerSmart Series P3000 generator to create an even stronger power source.